if you are interested in our firing pin because your “original” firing pin has been damaged/bent/broken, please view this 4 ½ minute video before you purchase our firing pin kit. Make your SKS safer and more reliable! 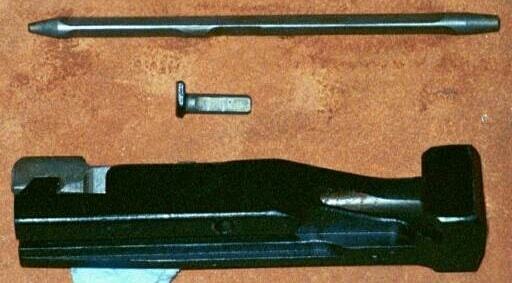 Original Russian SKS’s, Mfg’d. 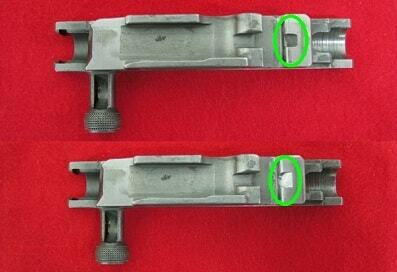 from 1945 to 1950, had a firing pin design that incorporated a return spring(left picture). Why “later” Russian, Chinese, and all others do not have this design, with spring, is still a mystery. 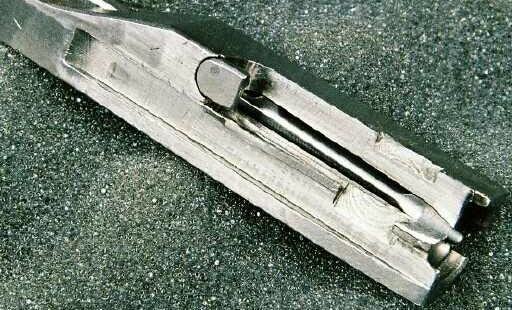 The design was changed to a “free-floating” firing pin in 1951. *This FP has been discontinued. 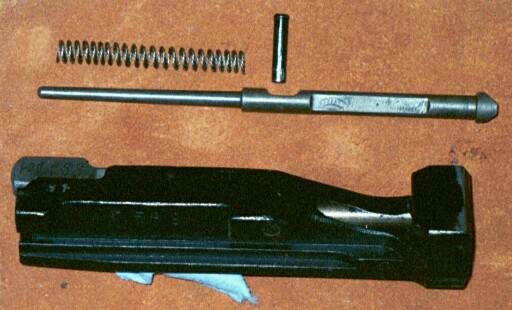 In the early 1990’s we began altering original firing pins, and adding a return spring, on Russian and Chinese SKS’s that were being imported. This was when many reports of slam-fire and uncontrollable full-auto episodes were first being reported. In 2004, due to Internet demand, we began manufacturing and selling a SS replacement firing pin and spring that was simply a copy of an “altered” original firing pin. 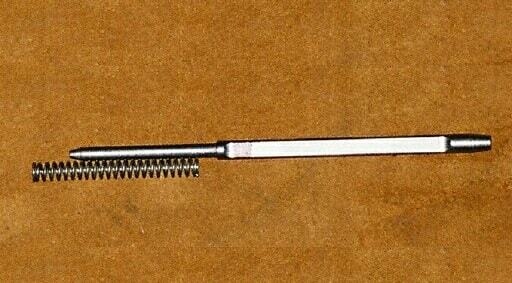 This “New For 2014” replacement firing pin is designed after the original Russian design. And, it fits all SKS’s. Even pre-51 versions. But, with pre-51 versions you need a different spring. This is due to the hole in the bolt being drilled deeper in “later” versions. This new firing pin eliminates slam-fire and uncontrollable full-auto incidents! And, allows use of “soft primered “American” ammo, or reloads. 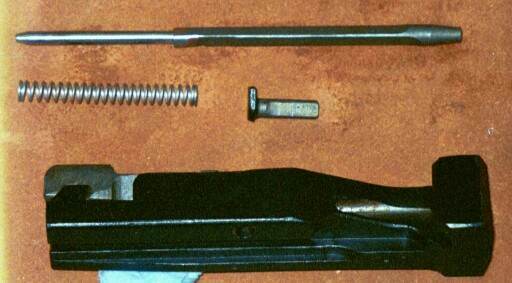 “Kit” includes firing pin, spring, extra spring, written instructions and a picture to aid in installation. SKS FP 001 fits late ’51 and later Russians and all Chinese, Yugoslavian, Romanian and Albanian. SKS FPM 001M requires very little modification to your carrier. SKS FPM 001M fits the same models as the SKS FP 001, but requires the small carrier modification. Even with the modification, you could still go back to an original FP. For the lucky few that have 1949, 1950 & early 1951 Russians, our SKS FP1 002 is a “Drop-In” Fit Replacement. ATF approved. Gun will retain its C&R classification. This is a picture of a Yugo Carrier, before and after modification. Item 001M Firing Pin Kit – Disassembly, Cleaning, Reaming Main Firing Pin Hole, Stoning the Bolt Face, Countersinking Firing Pin Hole on Bolt Face, Polish Extractor Face, Carrier Machining and Re-Assembly. 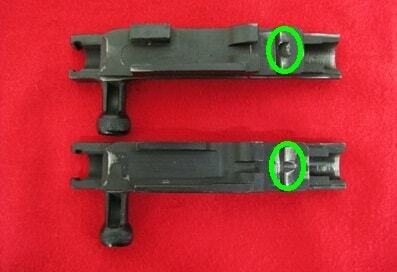 Both the Bolt and Carrier come back to you ready to drop in and shoot. The Post Office (USPS) has a “Small Flat Rate Priority Box” that is the most inexpensive and simplest way to send the Bolt and Carrier, but other delivery services work well also. Or, if you’d like us to install the “Drop-In” FP kit for you, send just the bolt assembly with a check or money order for $54.00. This includes FP kit and installation. We disassemble, clean, stone bolt face lightly and countersink FP hole, polish extractor face, and reassemble with new FP kit. Once you receive your bolt assembly, it will be ready to just drop into your rifle then shoot. We also return your original firing pin. Absolutely no alteration is done to the bolt. While the turnaround time for most all of our Firing Pin Kit Installations, Bolt & Carrier mods, and Trigger Group parts “Installation & Tuning” and especially our most popular service, the “Neck & Throat” chamber reaming, had gotten above 60 days, and even above 90 days for some of our customers in 2016, this last month and the beginning of 2017 are likely to be right at 30 days or less. If work is requested that is not on the mail-in form, turnaround can be affected.